Brunch is quite a unique meal when you think about it. There aren’t many other meals that are quite so flexible, so laid-back and so open to interpretation as a brunch. Probably one of the most popular hybrid words in the culinary dictionary (although banoffee, Frappuccino, spork and cruffin aren’t far behind), this portmanteau does what it says on the tin – a combined meal of breakfast and lunch – and yet so much more besides. It’s relaxed yet indulgent, filling yet light, savoury yet sweet, and social yet intimate, all at the same time. Despite the 120-year gap between this original article and today, the sentiment is one many will recognise. Brunch is synonymous with the weekend, something to do on a Saturday or Sunday morning when you want/need a bit of a lie-in, when a bowl of cereal just isn’t going to satisfy your hunger, and yet you can’t face the thought of ploughing straight into a Sunday roast. The flexibility of the brunch means that it can be at any time (as early or as late as the late-night carousing allows) and be savoury or sweet, depending on your mood. Kill or cure, a ‘hair of the dog’ is also a traditional part of the brunch set up, with Bloody Mary’s being the traditional drink of choice, although Champagne and sparkling wines, or even cocktails are popular choices. The tomato-based Mary definitely isn’t for everyone, but the savoury kick can definitely act as a wake-me-up, while something fruit-based might be a more gentle ease into the morning. In his original ‘plea’, Guy Beringer also made some fairly hefty claims about the all-encompassing powers of this new meal: ‘Brunch is cheerful, sociable and inciting… it is talk-compelling. It puts you in a good temper, it makes you satisfied with yourself and your fellow beings, it sweeps away the worries and cobwebs of the week.’ Although perhaps crediting brunch with a little too much, the idea is something very applicable to modern day. Whereas breakfast tends to be more grab-and-go, brunch is something to be languished over, to be indulged in, and most importantly, to be shared. 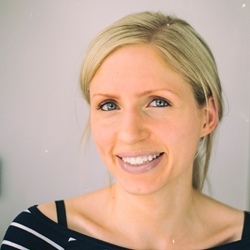 Hangovers aside, brunch is not just a recovery plan – having young children can play havoc with traditional meal-times, or squeezing in a morning swim can mean an early breakfast is not always an option. From 10am onwards, it’s an acceptable time to invite friends and family around, and not too daunting to think about rustling something up in the kitchen. Being both breakfast and lunch opens up plenty of options when it comes to cooking. If entertaining, it’s always best to consider easy options, albeit with a bit of creativity, that allow you more time to enjoy catching up with your guests, as opposed to slaving over a hot stove. Guy Beringer had the right idea in the first place, describing a leisurely meal that started with tea and coffee and moved from more traditional breakfast to lunch fare. Two key ingredients therefore, which won’t break the bank and can be savoury or sweet, are eggs and pastry. Eggs are a classic choice, and can feel hearty and filling without being too heavy. Poached, fried, boiled or even baked, with bacon or mushrooms, Hollandaise or brown sauce, you’re sure to be able to cook something that suits everyone’s personal preferences. 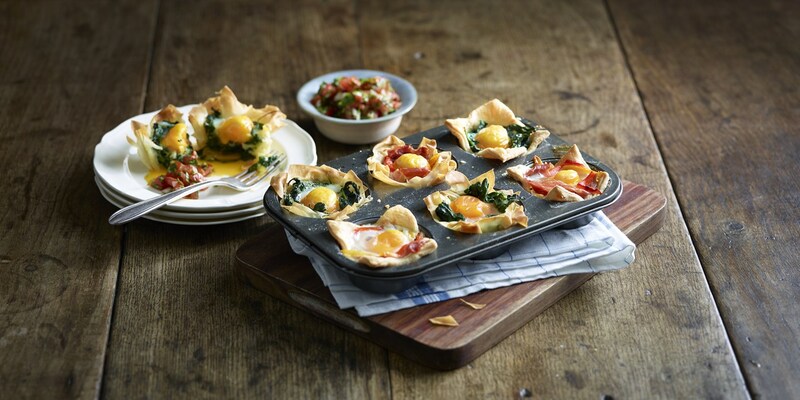 To cook in bulk, one of the simplest options is to make the most of your trusty muffin tray and bake eggs in pastry cups, meaning you can make twelve (or more) in one go, and personalise as you wish – use filo pastry for a healthier option, or shortcrust for something more substantial, fill with Parma ham for meat-lovers or spinach for vegetarians. Pastry offers a speedy route to crisp bakes straight from the oven. Ready-made puff pastry can be rolled or shaped into café-style pastries in moments – fill with cinnamon and sugar, or nuts and fruits for classic Danish swirls; chocolate for a French pain au chocolat; or shape into croissants and cut open while still warm and fill with ham and cheese for something more savoury. If brunch should be ‘talk-compelling’ then perhaps something a little more unusual would fit the bill. Combining savoury and sweet options in one dish is an instant way to show off your creativity, such as with American-style pancakes topped with bacon and smothered in maple syrup. Playing on the traditional pork and apple combo, bacon could add a savoury note to something like an apple tart. The traditional full English could also be translated into dainty portions, such as a tart filling or baked into frittatas, making eggs, sausages, bacon, tomatoes and mushrooms something a little more glamorous. Whatever you decide to cook, and whoever you end up sharing it with, you’ll know you’re indulging in a historic tradition that seems to be here to stay. Whether or not it truly ‘sweeps away the worries and cobwebs of the week’, we’re eternally grateful to Guy Beringer’s plea for brunch.